In this guide we’ll be showing you the 5 best VPN services for use in Indonesia. Suitable both if you live there or if you’re temporarily travelling there. Indonesia already has a high proportion of VPN use. And there is good reason for this. In fact, in a 2018 study carried out by GlobalWebIndex it found that 44% of internet users there regularly made use of a VPN putting it top worldwide. Despite being a democracy, censorship is widespread in Indonesia owing to a combination of a conservative Muslim population, excessive security legislation to counter a perceived terrorism threat, and to protect the existing government. It is no surprise then that VPN use continues to rise as more and more locals and tourists want free access to information and entertainment content. Alongside bypassing censorship, unblocking and watching American Netflix is another big draw for Indonesian’s as the local catalogue is heavily restricted and features far fewer titles. Our top recommended VPN for Indonesia is definitely ExpressVPN but in this guide, we’ll be rounding up five of the best VPNs to use in Indonesia in 2019 as well as recommending a few for specific uses too. The toughest part of getting a VPN in Indonesia is choosing the right one. Because it is such a big market, all the main providers want a piece of the pie and try to sell their benefits for Indonesian users hard. But the truth is that some VPN services are much better than others in providing a reliable service. It’s why we have created this guide. Strong privacy protections – The Indonesian government will punish anyone caught using a VPN to view censored content so if you plan to do this, always seek out a VPN provider with dependable privacy policies and a no user logs guarantee. 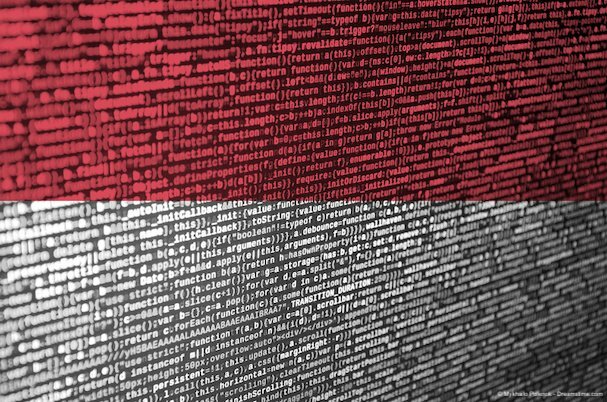 Strong encryption – Both government and ISPs in Indonesia will try to see what you are doing online. If you want your online data to stay safe, you need to know it is protected with reliable encryption. Large server network – While you may want access to Indonesian servers, many locals like to connect to neighbouring countries where there is no censorship, while tourists want to access websites back home. Others like to use servers in countries like the USA to access Netflix. Either way, a big server network is an advantage. Affordable prices – World economics make VPN services expensive if you earn a local salary. You should therefore look for a VPN with affordable prices and a good money-back guarantee too. ExpressVPN – Top choice for Indonesia! But, let’s take a look at each in more depth and discover what makes them stand out. ExpressVPN is our top pick for best VPN generally right now and for Indonesian internet users, it certainly ticks all the boxes. ExpressVPN has some of the most robust encryption around right now with their 256-bit AES protection strong enough to keep anyone’s data secure. Being based in the British Virgin Islands means they can also offer dependable privacy protections and a no user logs guarantee you can trust. These security provisions don’t come at the expense of connection speed either. As the name suggests, ExpressVPN offers some of the fastest and most consistent speeds of any major provider (Check out our ExpressVPN review to find out how fast). For those who want to get around Indonesian censorship, ExpressVPN offers a huge network including servers in nearby countries like the Philippines, Malaysia, Singapore, Hong Kong, and Taiwan. Indonesian servers are available too and their great apps mean tourists can log on easily on mobile devices. Subscription prices for ExpressVPN are a little above average, but they do offer a fantastic 30-day money-back guarantee, which gives you plenty of time to try before you buy. 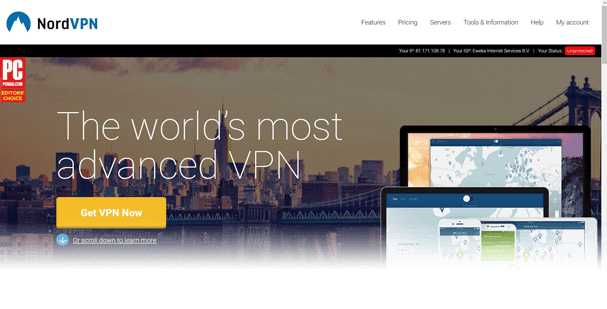 If you want a premium VPN service for less, then NordVPN will be the provider for you. Their prices are among the cheapest of any major provider and they also offer a 30-day money-back guarantee. NordVPN offers terrific value for those prices too with a service that is up there with the very best. Their encryption is on a par with ExpressVPN and they also boast a range of additional security features too. They are headquartered offshore, in Panama, which allows them to offer a watertight no user logs promise too. They have a 5,000+ VPN server network with servers available in many south-east Asian countries as well as Indonesia itself. Recent investment means their new super-fast servers are a match for almost all their rivals on connection speeds. Check out our 2019 review of NordVPN to find out what we thought. NordVPN also prides itself on being able to unblock just about any site too meaning it is great for evading state censorship and watching services like US Netflix from abroad. If you want a value-for-money VPN provider in Indonesia, you could do a lot worse than NordVPN. If prices are a problem for you, there is a workaround you could consider. By signing up to a VPN which allows you to connect multiple devices to the same account, you can save money by sharing your subscription with family and friends. If that appeals, then IPVanish will be the best provider for you. They offer ten concurrent connections which is a lot more than most other premium providers. As well as this great deal, IPVanish offers a great all-round service too. Their encryption is on a par with the best in the market and while their privacy policies have come under scrutiny of late, they still claim to offer a no user logs guarantee. IPVanish isn’t the best at unblocking streaming services like Netflix, but they can get around state censorship with the aid of another big server network that includes multiple servers in neighbouring countries to Indonesia. Their prices are about average, but if you split your subscription ten ways, they are a really cheap way to get top-notch VPN protections. If you are new to VPNs you will probably want to seek out a provider that offers a really user-friendly service. CyberGhost VPN is just such a provider with a great range of user-friendly apps that can be customised to connect you to the best server for your needs with a single click. Being beginner-friendly doesn’t mean you have to compromise on other areas of your service either. CyberGhost’s encryption and privacy protections are as reliable as any other provider on this list. They have a decent-sized server network too, which is not the biggest but still covers all the main markets and includes several locations in south-east Asia. Subscription fees with CyberGhost are mid-range but they do offer a massive 45-day money-back guarantee and allow up to 7 concurrent connections. A great all-round offer, especially for VPN newbies. VyprVPN is one of the few premium VPNs these days which offers a 3-day free trial. This means you can try their reasonably-priced service in Indonesia for 3-days without any money being taken off your card. There is however no money-back guarantee available after that. This free trial isn’t the only reason to choose VyprVPN. They have some of the best privacy protections around too and their independent review confirming their no user logs guarantee means you can be sure your data is safe with them. We’ve reviewed VyprVPN too, read what we thought. They also have a big server network including servers in various locations across south-east Asia and in all the most popular countries around the world too. Their connection speeds are perfectly acceptable for most online users, although not quite up to the level of some other providers on this list. Which Indonesia VPN is best for you? ExpressVPN is our pick of the best overall VPNs for Indonesian internet users. But if you need a VPN for a specific purpose, it is not necessarily the right one for you. VPNs offer different features, some are better at some things while others are better at others. For Indonesians, if getting around government censorship is your top priority and you want to access political or adult content, then ExpressVPN’s combination of security and privacy protections makes them our recommenced choice, although NordVPN runs them pretty close. When it comes to unblocking streaming services like US Netflix in Indonesia then it is a toss-up between these two again, although we felt that NordVPN just shaded ExpressVPN on this one. If online privacy is your number one priority then all of these providers have something to offer, but VyprVPN’s independent audit offers guarantees that the others just cannot match. If you want to connect multiple devices or share your subscription with friends and family then IPVanish’s ten concurrent connections make them a great option again. Lastly, if you are a beginner and want to keep things as simple as possible, then CyberGhost VPN is probably the best choice for you. VPN use in Indonesia is high and is only going to continue to rise for both locals and tourists in 2019. Our tests have shown that ExpressVPN is the best overall VPN for Indonesian internet users, but there are some specific circumstances where you may wish to sign up to one of the other services. It doesn’t matter too much which of the five above you end up choosing as they’re all suitable for use in Indonesia. We have outlined those in a little more detail in this article as well as explained the features that are most useful for VPNs in Indonesia.